Ever wondered what’s the fastest electric motorcycle? There used to be a time when using the words ‘electric’ and ‘motorcycle’ together would create reactions of shock and disbelief. The thought of an electric motorcycle seemed blasphemous. Even imagining the thrill of a motorbike but with an electric engine was impossibility; surely you need the noise of the petrol engine to really get that thrill? Then along came the Tesla and attitudes everywhere changed. Electric became cool and finally people began to see that electric motorcycles were pretty awesome. As a result, electric motorcycles are popping up everywhere and now, along with Tesla, are showing the world just what they’re made of. With all this in mind, we thought we’d answer the question: what’s the fastest electric motorcycle? From the competitors at the Isle Of Man TT to the ones you see every day on the road and may not even realise, we’ll explore the lot. Brammo – this is probably one of the most recognisable bikes, and it’s known for combining reliability with performance. It’s also pretty reasonably priced and quite attainable for the majority. Nicknamed the sweet street machine, the Brammo can be charged from multiple sources before offering a performance likened to a 600cc twin. It even boasts a manual gearbox for those who still want to shift. With a 0-30 mph in around 3.8 seconds, it’s pretty fast too! Zero – Zero offers a number of sporty, urban and what are known as crossover bikes. They offer a great range for your daily commute, delivering serious speed and manoeuvrability. Some models have the ability to reach around 95 mph and offer a sustained 80 mph. Agility – these are some of the most boldly styled motorcycles around. They have an aggressively designed front end that’s drawn comparisons to a charging bull. The motorcycles have the power to back it up too, with top speeds of around 105 mph and a whopping 96 horsepower. Who ever thought an electric motorbike would ever be so powerful? Mission Motorcycles – Based in San Francisco, Mission Motorcycles created a huge amount of buzz surrounding the production of its first electric motorbike, and they did not disappoint. It has developed a real sport bike with an incredible amount of power to go with it – some models offer a sub 3-second of 0 – 60 mph! If that doesn’t get the heart racing, we’re not sure what does. Beautiful displays, performance and style combine to make this a huge success over in the States. However as yet, they’re still only taking reservations for this model – so it’s a case of keep dreaming, for the time being anyway. Lightning – Lightening by name and lightning by nature. Lightning Motorcycles is currently proud to boast the title of the world’s fastest production motorcycle, the LS-218. Being its flagship bike, the bike represents more than just technology, it represents the entire brand – and it does it pretty well too. 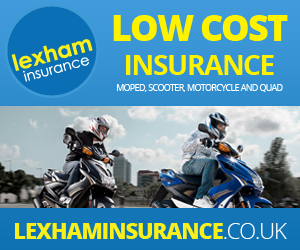 The title of the fastest motorbike covers not only electric bikes but petrol bikes too. Now that’s impressive! The name gives away its capabilities, as the LS-218 has reached speeds of 218 mph…. and it was all done on solar energy too! These bikes are absolute monsters with 200hp; and as technology improves, we’re certain their power will too! Brutus – with the V2 Rocket Superbike, Brutus was named the winner of the 2014 Electric Modified class. While it’s still very much under development, it’s still an amazing bike with speeds of 152 mph – and future development works promise to take it to speeds of around 185 mph! If its past titles are anything to go by, this American motorcycle company has some encouraging offerings for the future, especially if their Harley-esque looks are anything to go by. E-Rider – where would any list be if we didn’t feature our very own electric motorbikes? Here at E-Rider, we have an awesome selection of electric motorbikes. While they may not offer speeds of 185 mph, they still boast some pretty powerful specifications with our Model 75 rather aptly named thanks to its max speed of 75 mph. Reaching 0–50 in just four seconds, the Model 75 certainly won’t leave you lagging behind. With additional features of helmet storage, USB sockets and a reverse gear, this electric motorbike pairs speed and style with practicality. Let’s face it, with the maximum speed limit in this country being 70 mph, the need for anything more than that just isn’t there. When it comes to urban areas, speeds are now being reduced further to 20 mph. Average speed cameras are also ensuring that speed restrictions are adhered to in all places, so while these powerful bikes are indeed impressive, they’re wasted on the commute to work. At E Rider however, our bikes have been made with the real world in mind. From the Model 75 that allows you to cruise the motorway with ease, through to the Model 40 that offers the perfect speeds for nipping in and around the city, E-Rider has you covered for every eventuality. From electric bikes to mopeds, motorbikes and electric accessories, we’d like to consider ourselves your one-stop-shop for all things electric bike-related. Environmentally friendly, economical and downright fun, E-Rider electric motorbikes are the motorbikes of choice each time, every time.